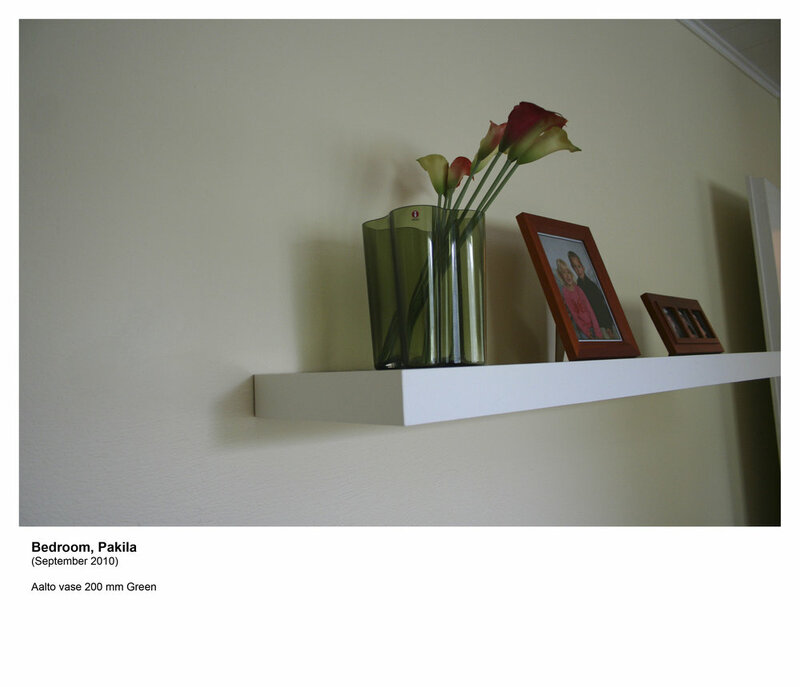 These photographs show interiors of Finnish apartments located in Helsinki; apartments which I cleaned during fourteen months working as a cleaner in Finland. What attracted my attention when I started my job, were a few objects which I could see in every single apartment. It reminded me of the future societies described in many science fiction stories, or the image of unified life of people described in the utopia of "1984". 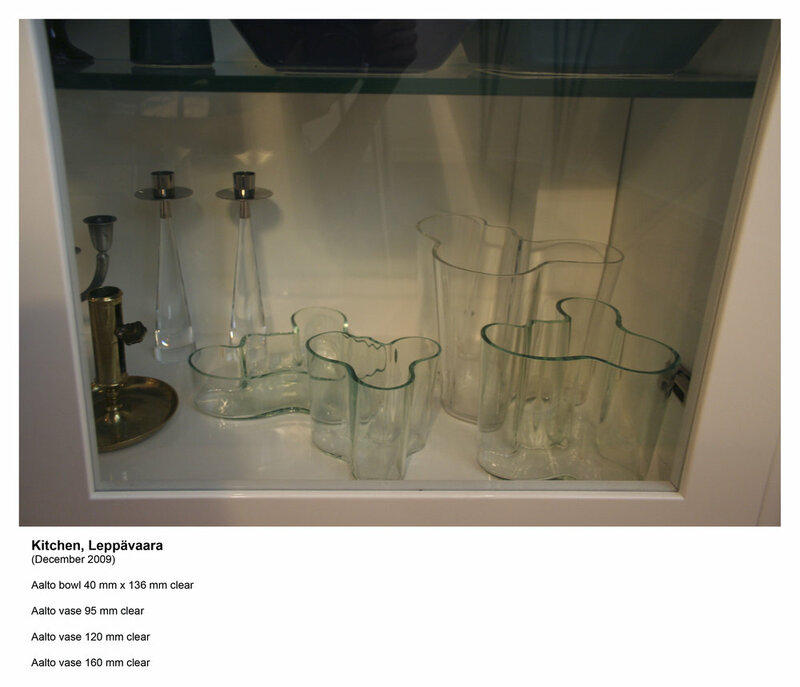 Later on I learned that those objects are all products of one company called Iittala. 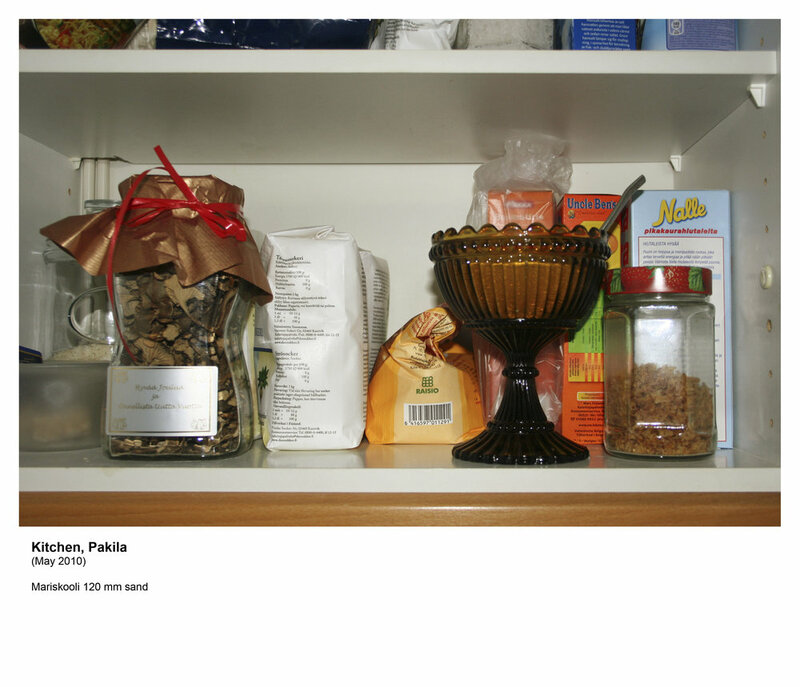 These photographs that are ordinary snapshots of ordinary Finnish apartments show the repetition of those objects in different places. 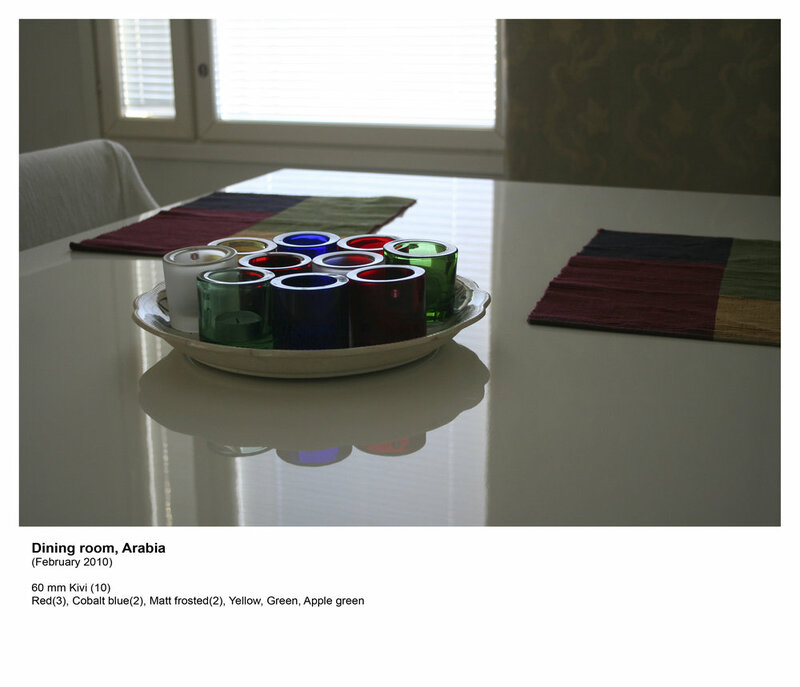 Each photograph includes a text caption; the name of the neighborhood, the time I took the photo and the detailed information of the objects as they are described in the website of the company. The project ended at the end of 2010 when I quit my job.